The proper repair of collision damage is critical to the safety and performance of your vehicle. Each vehicle is repaired to factory specifications in our state-of-the-art collision repair facility. We have highly skilled I-Car Gold and ASE certified technicians use only the highest quality equipment, parts, and materials. We use only the best equipment available in the repair of your vehicle. 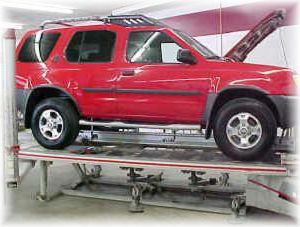 We utilize Car-O-Liner and Chief E-Z Liner Frame Racks to bring your vehicle to life again. 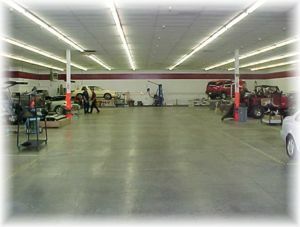 Our large shop area enables us to handle both small and large jobs. All body work is thoroughly inspected prior to entering the refinish department. We return your vehicle to it factory specifications. 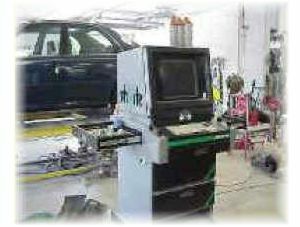 We use the Shark Computer Measuring System to check and inspect your vehicle throughout the repair process. Our technicians take pride in their workmanship, and we are committed to quality and safety.